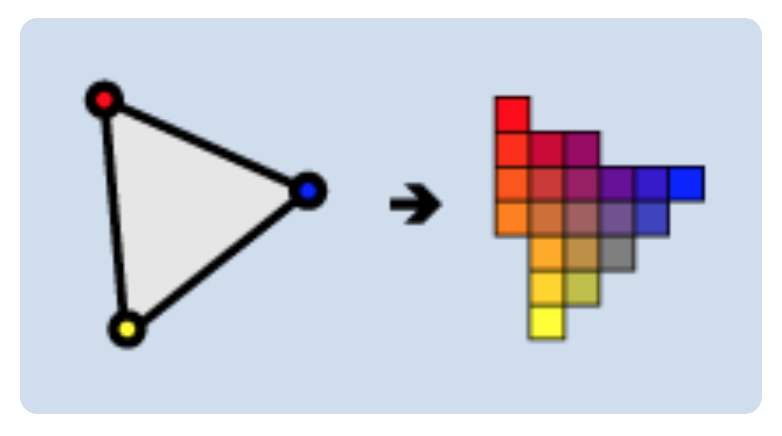 Vertex Array – this later projected into screen space, assembled into triangles, and rasterized into pixel-size fragments, and the fragments finally assigned color values and drawn to the frame buffers. GPU begins by reading each selected vertex out of the vertex array. Vertex shader calculates the projected position of the vertex in screen space. 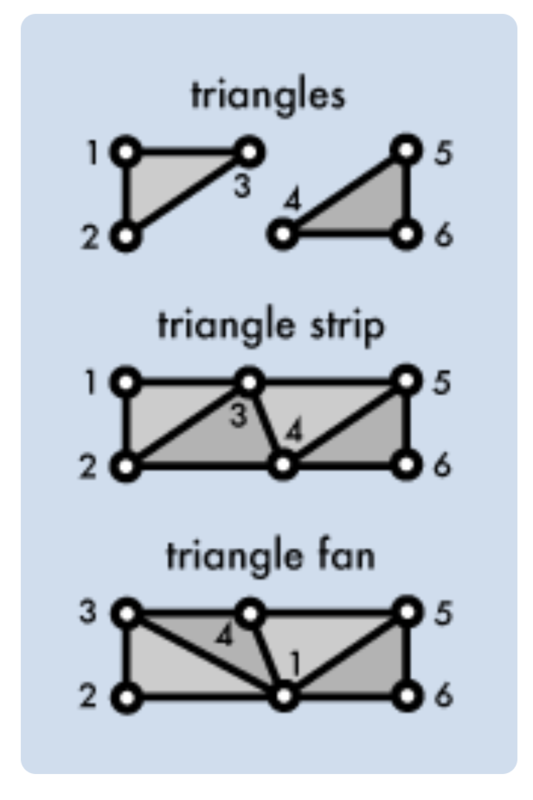 It can also generate other varying outputs, such as a color or texture coordinates, for the rasterizer to blend across the surface of the triangles connecting the vertex. 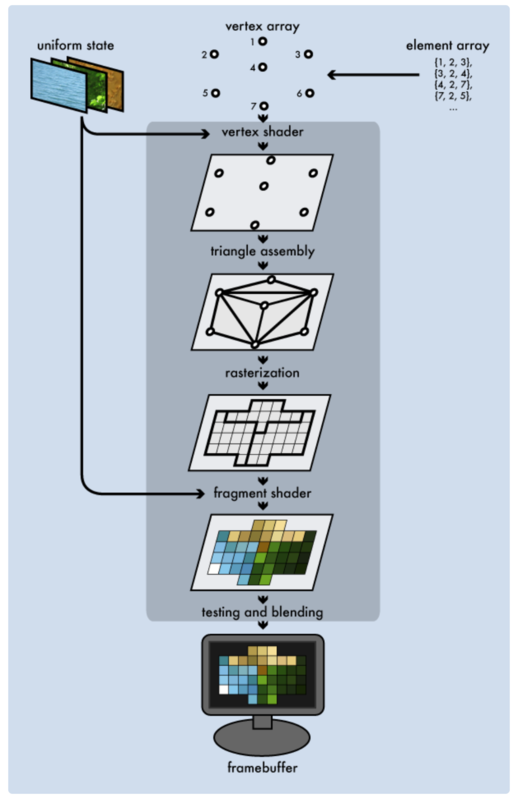 fragment shader runs independently for every pixel drawn, it can perform the most sophisticated special effects. The most performance-sensitive part of the graphics pipeline. Final color, depth, and stencil values are drawn into corresponding buffers.